In February 2017, the Morgan Welch Inflammatory Breast Cancer (IBC) Research Program and Clinic hosted a scientific conference in Houston to commemorate the tenth anniversary of the opening of the first IBC-dedicated clinic in the world. Attendees included basic science researchers, clinicians who treat IBC, as well as patients and their caregivers. Several US-based and international IBC-focused nonprofit organizations were also represented. 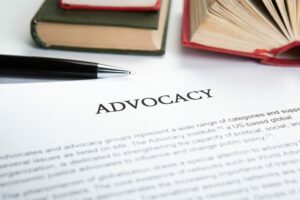 In this third paper from the conference, we report on the breakout session regarding survivorship and advocacy issues related to IBC, sharing an overview of the educational content presented and discussions regarding the future of IBC advocacy. Panelists focused on lymphedema research and clinical solutions, integrative medicine, and social work, with time provided for questions in small groups. IBC nonprofits that are leading advocacy efforts were introduced, and ways to become involved in these initiatives were discussed. Priorities for future advocacy and clinical care needs were also highlighted. In addition to summarizing these topics, we provide a suggested integrated IBC-specific plan of care that could be provided to the patient at the beginning of care and referred to throughout treatment and follow-up.